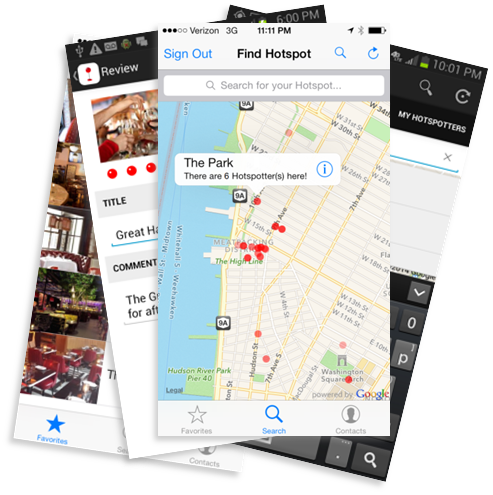 The Next Hotspot allows you to follow your favorite places with real time reviews. Real time reviews can only be written by people who are at the places they are reviewing. This will give you the most up to the moment details about your favorite bar or restaurant! Real time reviews and other features help you find your Next Hotspot! The Next Hotspot lets you anonymously find the crowd at places you want in real time. You can now follow your favorite bar or restaurant as a Hotspot and receive a message on your phone if the crowd you want is there. A real time heat map of the crowd you want gives you a bird's eye view of where to go next. When you're trying to decide how and where to spend your time, make it count by knowing where to go before you go! Whether you're going out locally or out of town, it's not a problem. Find out instantly where the crowd you want is right now! Find them at your Next Hotspot! © 2018 The Next Hotspot. All rights reserved.